Trying to decide where to stay in Brno? We’re here to help! There are plenty of great places to stay in Brno. 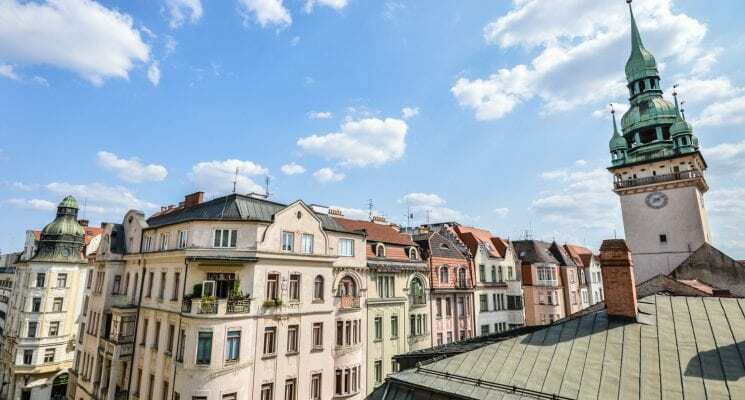 As the Czech Republic’s second largest city Brno offers travelers plenty of options in terms of hotels and hostels, so we decided to save you some time and visit the city ourselves to explore its myriad of accommodation options. 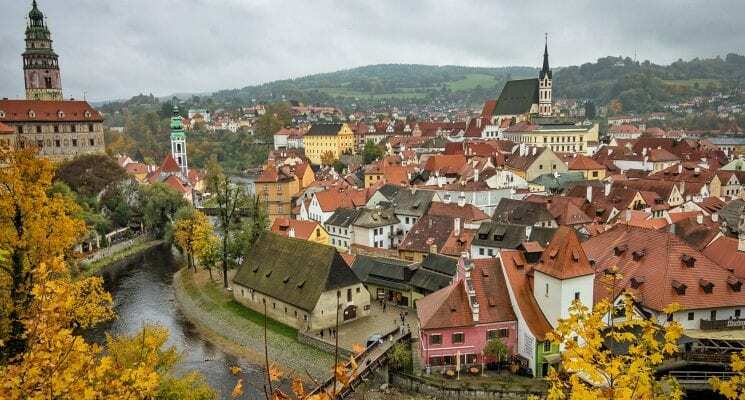 When researching the coolest places to visit in the Czech Republic, you will find that the country’s capital of Prague usually steals the limelight. And while we only have words of praise and admiration towards the largest city in the country, it’s definitely not the only one worth visiting. As a matter of fact the often underrated city of Brno is quite a gem, offering intriguing architectural details, quirky statues, and unique religious edifices. Brno also has a nightlife to die for with vibrant pubs, bars and cafes emanating the feeling that it’s always Friday night in the city. 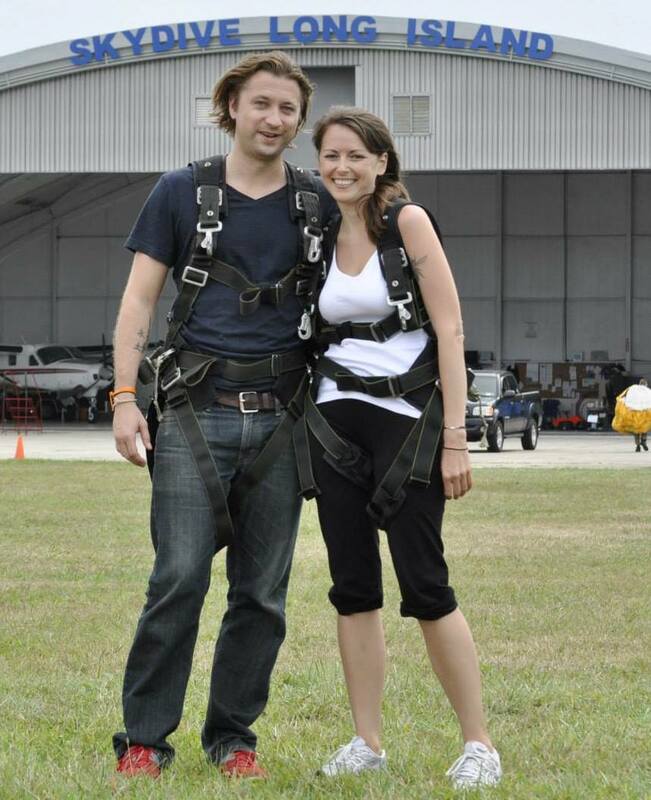 Besides enjoying a few beers at the Pivotéka, make sure you explore some of the city’s highlights as well. The iconic freedom square will surely pique your interest thanks to its eclectic mixture of baroque columns, Renaissance buildings and interesting fountains. The majestic Cathedral of Saint Peter and Paul is an absolute must-see, along with the Church of Saint James, which houses the second largest Ossuary in all of Europe. Don’t be afraid to get lost between the narrow streets of Brno and wonder off the beaten path. For the best view of the city from above, head up to Spilberk Castle or climb the tower of the Old Town Hall. If you want to up the ante, you can also go on a hot air balloon ride to explore Brno from above. These are just a few ideas of what this colorful city has to offer, for more inspiration don’t hesitate to check out our recent article on 32 Things to do in Brno. Okay, so you’re hooked on visiting Brno, possibly even booked a flight – now what? We recommend you to start looking for a hotel in Brno that fits your travel budget as soon as possible, because booking well in advance can sometimes land you a generous discount. 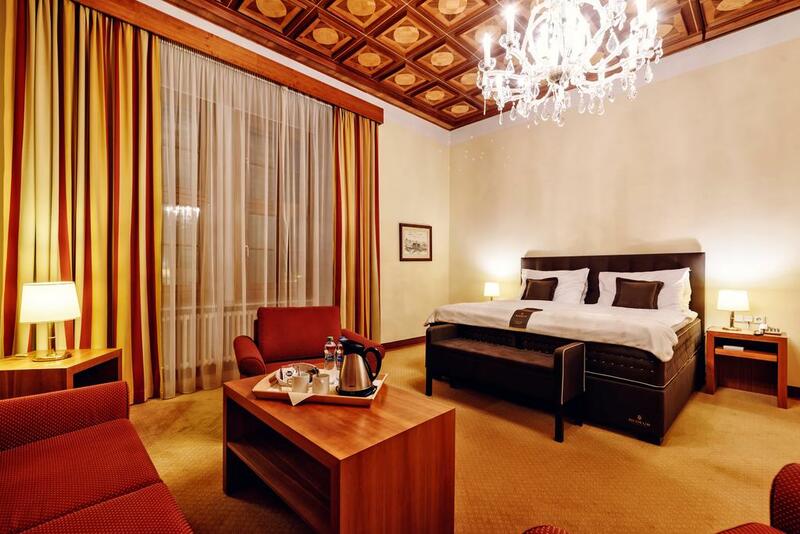 Another one of the best luxury hotels Brno has to offer at its heart, the Barcelo Brno Palace is set to impress with its decorative interior, oversized windows and generous rooms. The accommodation is housed in a historic building, situated merely steps away from the most important landmarks and attractions. The rooms are spacious, bright and offer extra comfort thanks to the wide variety of pillows you can choose from. Families with children can opt for interconnecting rooms for additional privacy. The buffet restaurant serves an exquisite breakfast each morning at additional cost, whilst the Palazzo Restaurant awaits guests with a wide variety of options in the afternoons. The sauna and fitness center can be used by all guests free of charge. The Barcelo Brno Palace also offers optional valet parking as well. Click here for reviews or to book now! Imagine getting the opportunity to admire the breathtaking Main Square of Brno right from the comfort of your own home. The good news is, at the Grandezza Hotel Luxury Palace you can enjoy exactly that (and much, much more!) 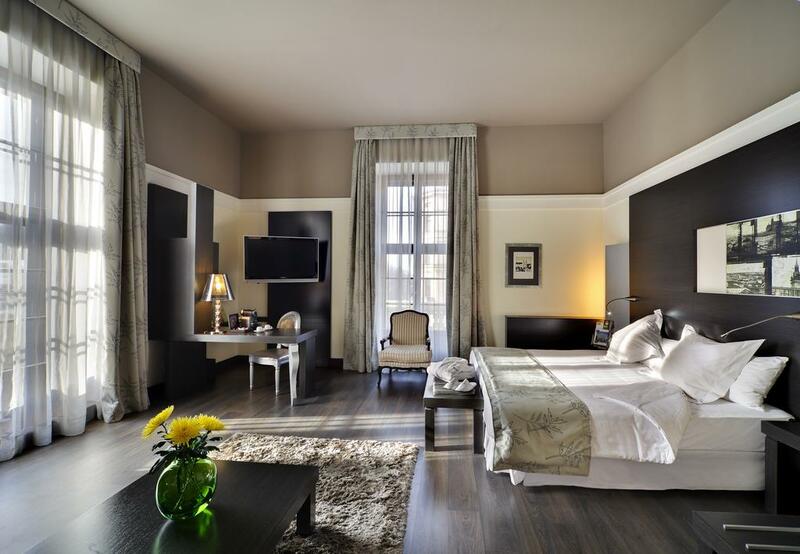 if you decide to stay in one of the best luxury hotels in Brno. This unique boutique hotel opened its gates merely six years ago and has attracted tourists from all over the world thanks to its strategic location, top notch hospitality, brilliant hand-painted glass ceiling and myriad of amenities. The plentiful breakfast, the generous air-conditioned rooms, the on-site restaurant serving international cuisine with a hint of Italian flavors and the two cafes all contribute to a pleasant and remarkable stay. 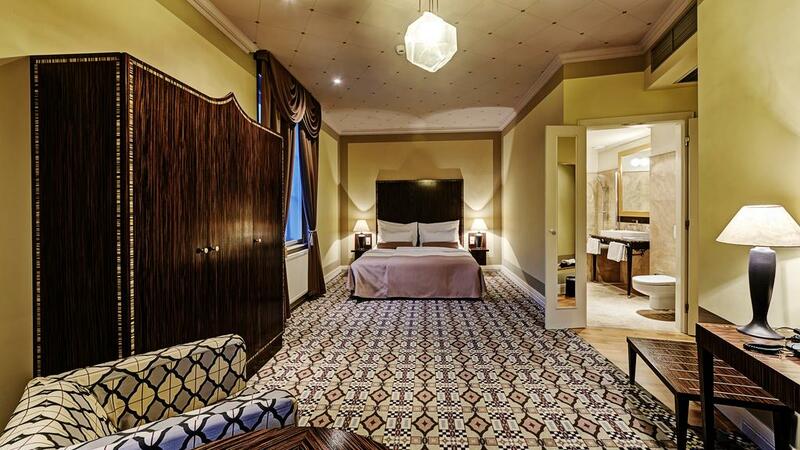 If it’s historical sights you’re after, you definitely need to stay at the spectacular Hotel Royal Ricc, located on one of the oldest streets in Brno. The Baroque edifice was constructed in the 16th century and aims at reliving the past though its authentic furniture pieces, antique lamps and paintings made by local artists. All rooms are air-conditioned and come with a flat-screen TV, private bathroom and high-speed internet connection. The central location ensures proximity to some of the most important attractions, such as the cathedral, the castle and St. James’ Church. Thanks to its unique character, first-rate hospitality and convenient location, we can safely say that the Hotel Royal Ricc is among the best hostels in Brno. Situated merely a stone’s throw away from the Main Square, the Best Western Premier Hotel International Brno is the perfect base for your city sightseeing days. 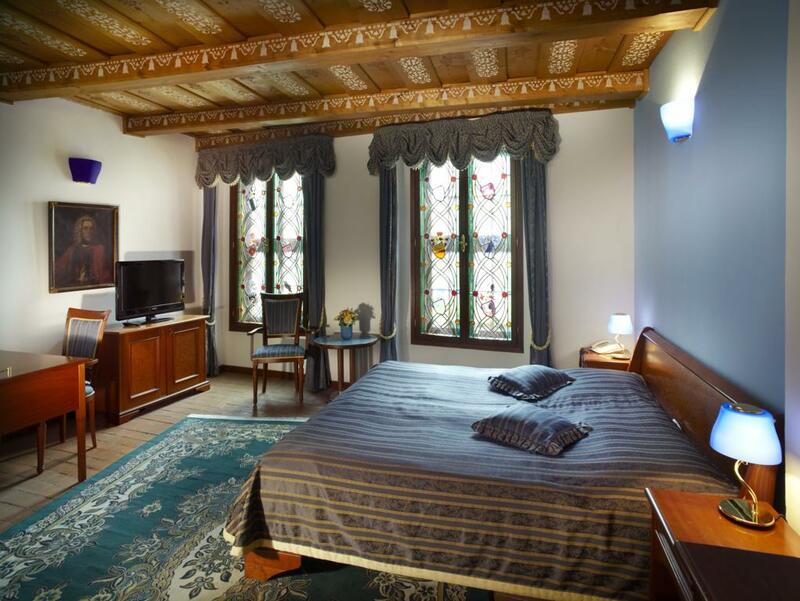 With Špilberk Castle towering above the edifice and important attractions such as Mintmaster’s Cellar, the Catholic Church and the Moravian Gallery lying in its vicinity, you will definitely not find a more central accommodation in the city. The 4-start hotel boasts a modern interior with tasteful decorations, spacious rooms and comfortable beds. Guests can enjoy complimentary access to the hotel’s many facilities, including its state-of-the-art fitness center, the salt water pool, the saunas and the hot tub. Two on-site restaurants ensure that you’ll get the best of international cuisine, while the charming bar offers a wide array of cocktails, diverse alcoholic drinks and other beverages. With so many diverse features, it’s safe to say that the Best Western Premier Hotel International is definitely one of the best hotels in Brno. If you’re looking to pamper yourself after a few long and exhausting days of sightseeing in the city, we’ve got just the place for you! Maximus Resort is the best hotel in Brno to experience some relaxing downtime thanks to its outstanding spa and sauna center. Although it lies in the periphery of the city, it’s certainly worth the trip for indulging in the finer things in life for a few days. The gorgeous hotel is impeccably kept, offering generous rooms with cozy beds, flat screen TVs and terraces overlooking the stunning natural landscape of the area. The hotel serves a complimentary breakfast to all guests, made up of fresh, mostly local ingredients. The highlight of the lodging is the Infinit Maximus Wellness and Spa Center, where guests can enter on a discounted price, and which features swimming pools, steam baths, saunas and massages. For further entertainment options you can turn to the bowling alley, billiards and Ping-Pong tables, along with the three tennis courts nearby. 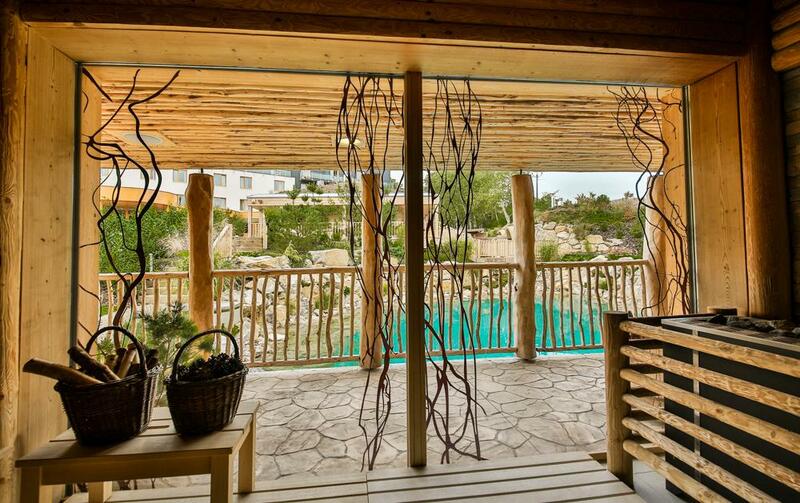 The Maximus Resort is an excellent option for those with a rental car in the Czech Republic who want to catch some rest and relaxation during their vacation! For those in search of a traditional accommodation site with a sleek interior, an attentive staff and a central location, Grandhotel Brno will surely not disappoint. 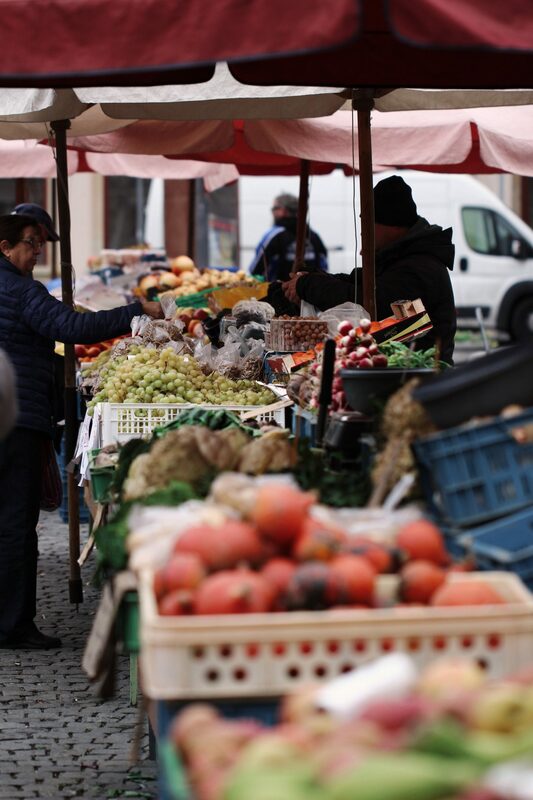 Another lodging lying at the very heart of the city, the Grandhotel boasts proximity to the vibrant cabbage market, Capuchin Square, Parnas Fountain and can be found right next to one of the main bus stops of Brno center. From the first moment you step inside, you’ll be swept away by the grandeur and the traditional interior of the hotel. With a long experience in hospitality, the accommodation site’s staff will go out of their way to make your stay as amazing and as memorable as possible. Thanks to the recent complete refurbishment of the Grandhotel, now offering a generous restaurant, a lobby bar and a fitness centre, it has become one of the best hostels Brno has to offer. The sumptuous breakfast buffet is worth the extra splurge, so you can enjoy a varied and delicious meal before you kickstart your busy day of sightseeing. If you guys are looking to visit Brno on a budget, or you are backpacking around Europe, or you just like to stay in chill hostels and meet other travelers while on the road have a look at these three places. 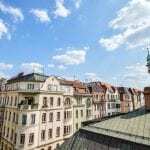 The inviting Hostel Mitte can be found in the heart of the city, a short stroll away from Denis Gardens, the Mintmasters Cellar and Spilberk Castle. This charming accommodation site gracefully mixes the appeal of antique furniture with modern amenities. The rooms and the dorms are both generous in size, offering a comfortable stay and a good night’s sleep. In the dorm rooms each bed has its own electric plug and reading lamp, while the oversized curtains ensure additional privacy. Most dorms have an en-suite kitchenette, where you can prepare a quick meal before you join your fellow travelers in the hostel café for an exceptional cup of joe, ahead of going on your separate sightseeing ways. 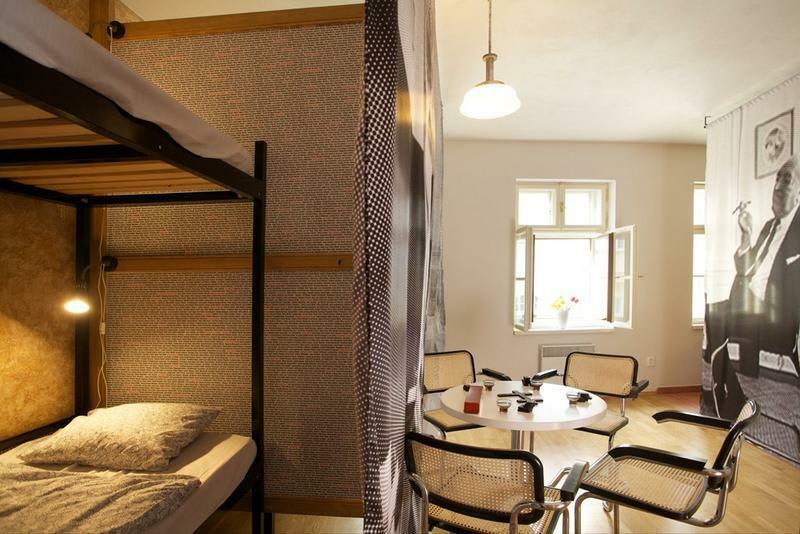 Though not exactly a party lodging, Hostel Mitte is still one of the best hostels in Brno. If you’re looking for a fairly unique accommodation site which you’ll surely remember forever, then the 10-Z Bunker Hostel is definitely the way to go. 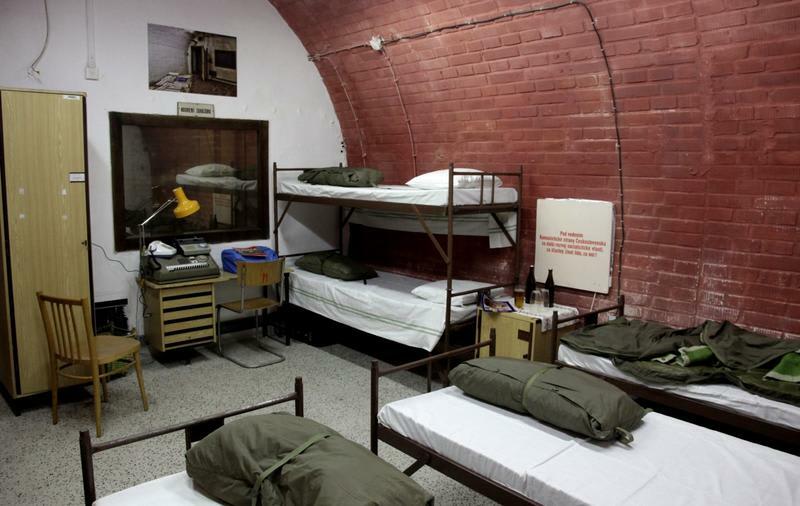 Housed in an actual nuclear shelter from the Cold War era, this hostel is definitely not for the faint-hearted, but can provide a quirky and memorable experience to those up to it. The dorm rooms are decorated in period style and once you arrive to the accommodation, you’ll also get a complimentary tour of the place, which is also home to a history museum. Breakfast is free for all guests and is served daily at the on-site milk bar. With its uncommon setting and one-of-a-kind interior, we definitely rank 10-Z Bunker Hostel as the most unique hostel Brno has to offer. 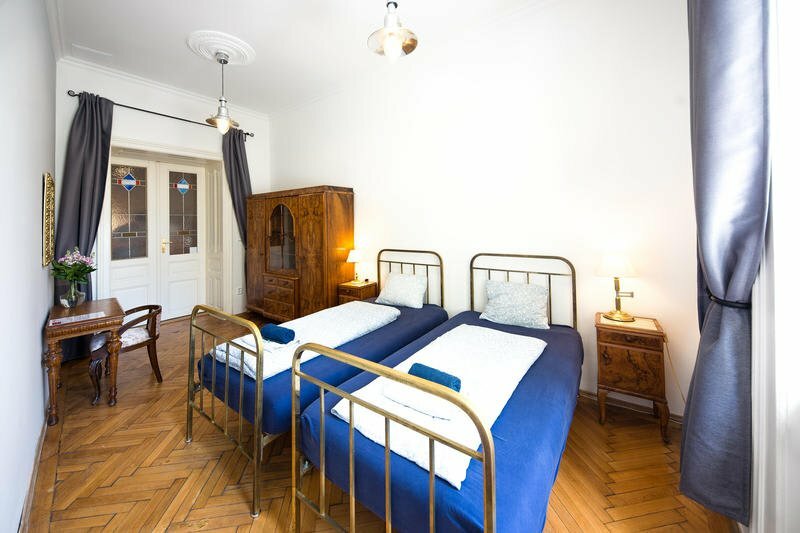 Another lodging situated at the heart of the city, the Jacob Brno Hostel offers stunning private rooms with shared bathrooms, along with a few apartments with en-suites and their very own kitchens. The generous staff will make you feel welcome from the moment you arrive, so don’t hesitate to turn to them for recommendations. The common dining area can be found right next to the well-equipped kitchen, free to use by all guests. There’s also a small on-site bar serving some locally-made wine, brew and lemonade. You can get a wide selection of coffee from the coffee machine and a handful of different tea blends are also available in the kitchen. This accommodation’s positive features along with its strategic location make it one of the best hostels in Brno. Want more hostel options? Check out our guide to the best hostels in Brno! There you have it folks, our guide for the best hotels and hostels in Brno. 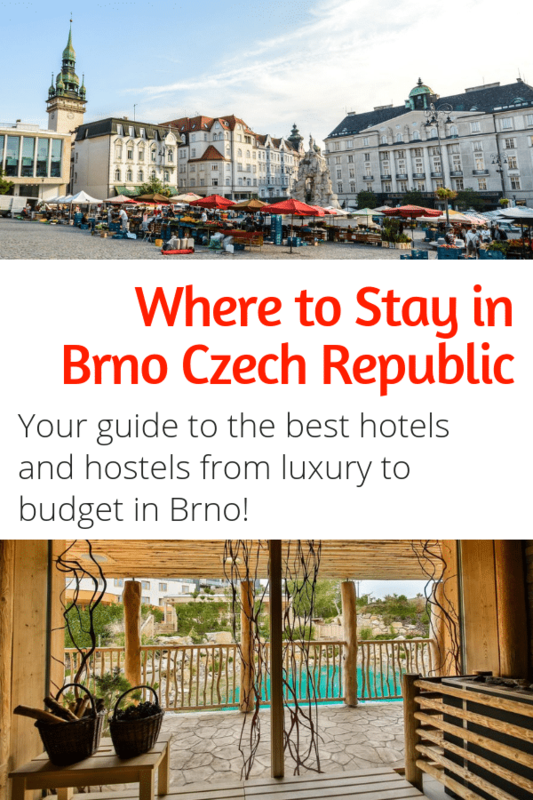 As you can see there are plenty of great luxury hotels to be found in Brno, but you can also find very comfortable budget options as well. As always happy travels, and we’ll see you guys on the road!